Teletalk user can use this internet package. 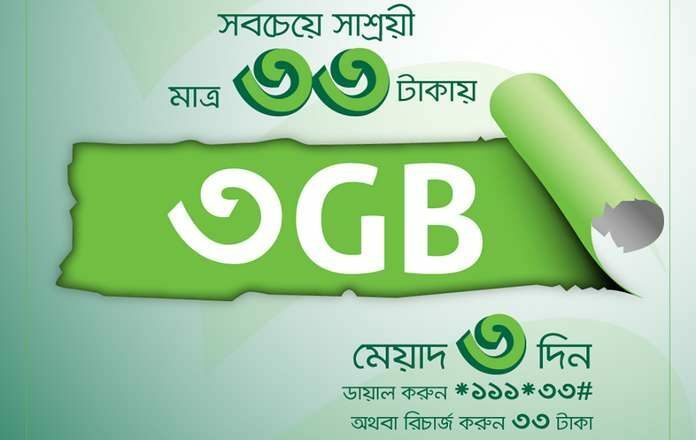 February 2019 best internet offer, update MB pack for Teletalk Bangladesh. 33Tk 3GB offer code. Offer Using Time: 24 hours. Every Teletalk user allows this offer. You can activate this pack by recharge exactly 33Tk. 33Tk with No VAT, SD.